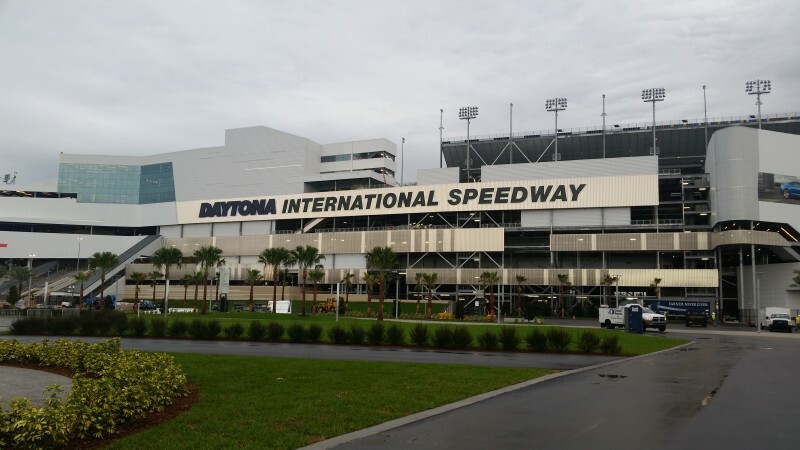 After an intense two years, our team is wrapping up construction of the HVAC scope of work for what is referred to as a “$400 million reimagining of an American icon” – the Grandstand Replacement at Daytona International Speedway. Dubbed “Daytona Rising,” the completed project boasts five expanded and redesigned entrances, or “injectors,” that lead fans to a series of escalators and elevators to three different concourse levels along the nearly mile-long front stretch, each with “neighborhood” social areas along the way. Energy Air was contracted with Barton Malow in July 2013. The mechanical system installed includes one of the largest VRF, or variable refrigerant flow, systems in the country. This technology makes it possible to give different areas heating or cooling control. Rooms with unused climate controls can be switched off entirely, resulting in exceptional comfort and efficiency. In the two-plus years working on the project, Energy Air utilized 88,715 man-hours of labor. Safety was paramount, and 5 percent of those man-hours were expended on safety orientations, safety meetings, task safety analysis and documentation, plus a full-time safety manager who was brought on board once we reached 40 workers on site. After the July 2015 races, Energy Air’s manpower peaked at 60 people working two shifts to stay on schedule. Upon final inspection on January 6, 2016, we had installed more than 900 pieces of equipment, 1.5 miles of chilled water piping and 3.5 miles of VRF copper refrigerant suction and liquid piping. The three concourses with mile-long front stretches posed many logistical challenges throughout construction. With all subcontractors responsible for their own hoisting (no buck hoist or elevators, just the stairs), it was not unusual to have as many as twenty cranes on site at any given time. Numerous changes throughout the course of the project further increased its complexity. Energy Air mobilized and demobilized numerous times due to race activities, and in some cases personnel was on standby 24 hours a day during racing events. NASCAR’s most famous speedway now greets fans with 101,500 permanent, wider and more comfortable seats, twice as many restrooms, three times as many concession stands and more than 60 luxury suites with track side views.